Garnet gemstone or Hessonite gemstone is conceived to be the birthstone for month January. 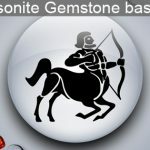 As per astrology, the red color Hessonite or garnet stone is revered with the status of the birthstone of month January. 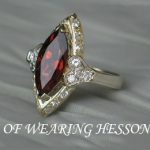 Thus, if you are born in the month of January, then you should wear Hessonite gemstone. The name garnet has been derived from the word Latin called “Granatum” or “pomegranate”. Due to its intense red color, the stone coincides with the fruit of dark red color. The primary color of the garnet gemstone is considered to be the reddish-brown. However, there are different colors of garnet gemstone exist except for the red color, such as brown, red, purple or black. Due to its exciting colors and astrological properties since from the ancient times, a garnet gemstone is being worn by the people of all ages in the form of jewelry. Moreover, it is the fact that in the ancient time specifically in countries like Rome, Greece and Egypt people were fond of garnet gemstone jewelry. In fact, in India people term this stone as a sacred gemstone and it was considered to be a talisman and was a prized gemstone. There are several benefits which a native of month January may obtain by wearing this auspicious gemstone. This gemstone enacts as a talisman to guard tribes against ancient time to till date. This gemstone is also said to be the stone of friendship and faith. Moreover, due to its immense enchanting qualities, this gemstone is referred to be the ‘Gem of Faith’. In addition to this wearing, garnet gemstone invites success in the life of its wearer and aid in curing many serious health diseases predominately related to the organs such as heart, blood, and lungs. There is generally believed about this precious gemstone is that keeping this stone under the pillow while sleeping can avert bad dreams and the evil eye. Furthermore, it also invokes sensuality and sexual power among its native and also helpful in enforcing spiritual healing and physical, mental strength. The gemstone of month January Garnet stone illustrates many shades of color due to its broad excellent Hue. The color of this gemstone ranges from dark red to brown, purple, pink, blue and green, etc. However, the most popular color of the garnet stone is a dark red color. Above all those color red is considered to be the most favorite among all and the rarest color which hardly exist is blue garnet color. The garnet gemstone is an extremely hard gemstone, it is almost impossible to spot a garnet gemstone with a scratch. The auspicious gemstone of the month January the garnet is largely found in the origin such as United State of America, Myanmar, Scotland, Argentina, Australia, and Switzerland.